It has been 4 months since we rescued Lola and Henry. 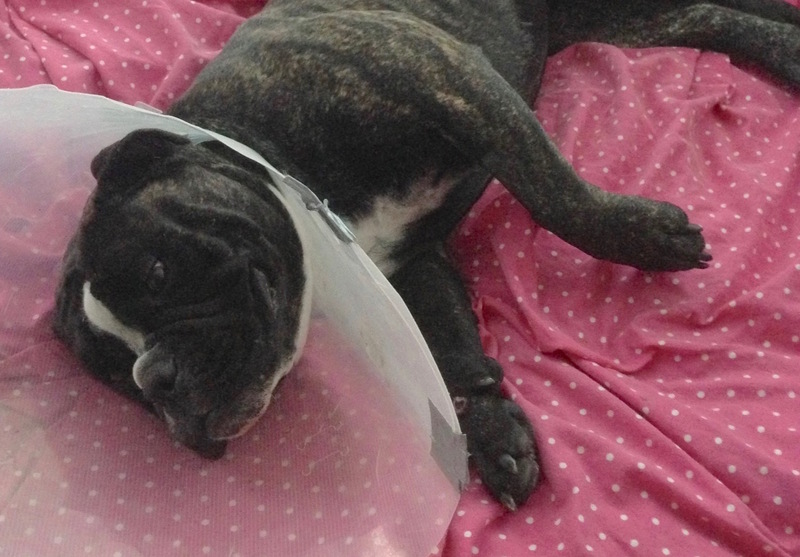 Lola just had her second knee surgery and is resting comfortably. Henry is also doing very well. Lola and Henry were roaming the streets in the Central Valley and we rescued them in February. They are charismatic, fun, and extremely friendly. We soon discovered they were not only homeless, underweight and have kennel cough, they were diagnosed with many other serious conditions. It was obvious Lola’s back legs were very unstable. She had difficulty standing on wood floors, managing stairs and walking. X rays confirmed she had ruptured cruciate ligaments in BOTH knees. Surgery must be done one knee at a time. Each surgery requires 6-8 weeks of recovery. Her activity must be closely monitored after the surgery. We suspect Lola was used to breed puppies. This little mama had to go through her pregnancies, care for her puppies, and then have her puppies taken away while living with her painful ruptured knee ligaments. Yet she impressed us with her jovial disposition and obvious appreciation of having a soft bed to sleep (and snore) on. Henry, our very own 4 legged Steph Curry, loves to play basketball. But he was going blind and needed eye surgery to pursue his basketball career. 🙂 He also has a broken tooth and ear infections which required medical attention. The cost to give Lola and Henry pain-free and healthy lives will be around $10,000!! It was never a question whether we will spend $10,000 to bring them back to health, why wouldn’t we when the prognosis is so favorable? Lola and Henry are only between 2-3 years old and they have many more years of living to look forward to. We began immediate fundraising efforts to help fund for their care. Henry and Lola probably made a lot of money for his former owners when their puppies were sold. But they didn’t have the decency to give Henry and Lola their needed medical attention. It is now up to us to do the right thing. 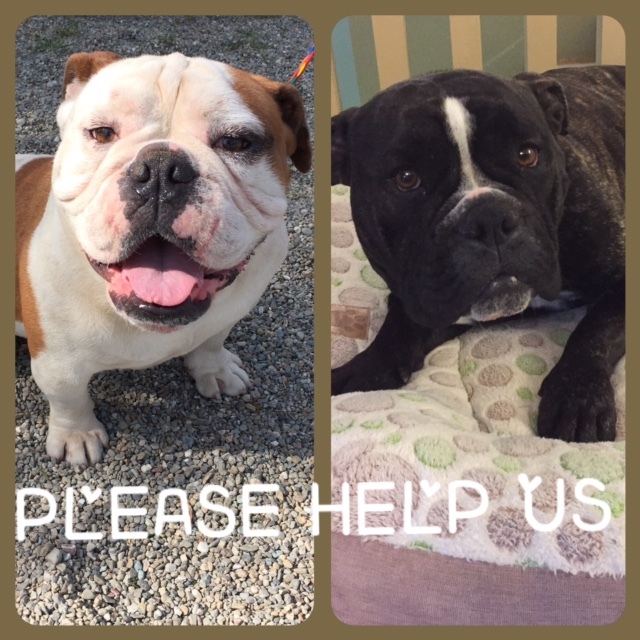 Stay tuned for this pair of Bulldogs’ progress and their journey to find their forever homes.